Marketing technology is taking center stage in the mortgage industry's race to catch up to consumers' expectations for doing business. Lenders that embrace digital transformation will be rewarded – and those that don’t adapt will continue to see their market share shrink. Your marketing tech stack should remove friction and give your loan officers a better way of doing business. Technology should enhance what your loan officers are already doing – not bog them down. To position your salespeople for success – and your company for growth – they need the right tools. The Total Expert Marketing Operating System™ (MOS) is built for the future of lending and made up of the tools and systems you need to execute on your marketing strategy at the right time and place. As Simon Sinek says, start with why. There are many considerations when assessing and building your marketing tech stack, but two critical “whys” that top the list are centralization and integrations. It is critical to centralize your marketing activities into one system. By centralizing the deployment of social, print and digital marketing, you have the ability to track and report on all marketing activities through all channels. In doing so, your teams will be able to go to market and execute marketing activities more quickly. At a time when cultivating customers for life and gaining new customers is critical, having a single system of delivery for your brand and communications ensures that existing, new and future customers feel personally communicated to and connected with. Mitch Kider, Managing Partner at Weiner, Brodsky, Kider PC says the “very best practice” in regards to marketing compliance is that you centralize your compliance review of all marketing materials, including co-marketing, social media, web advertising, print media – all things marketing. Today’s technology landscape is optimized when you can assemble best-of-breed tools. Given the pace of innovation, that set of tools will evolve – as will the needs of your business. As you build your system, don't inadvertently put handcuffs around what you can and can’t do, especially from an integrations standpoint. A modern, open API will empower you to centralize your organization's core systems in one place – creating efficiencies across the organization. Technology has evolved. Lenders have a massive amount of data to manage and protect and consumers expect to be communicated with across all channels. The speed of change is rapid and the expectations are growing. 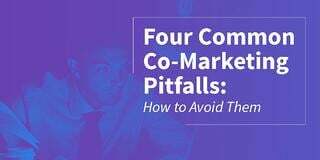 Your organization needs to adjust and pivot on the fly. You need a marketing technology solution that will enhance your marketing efforts, not an antiquated solution that will slow you down. 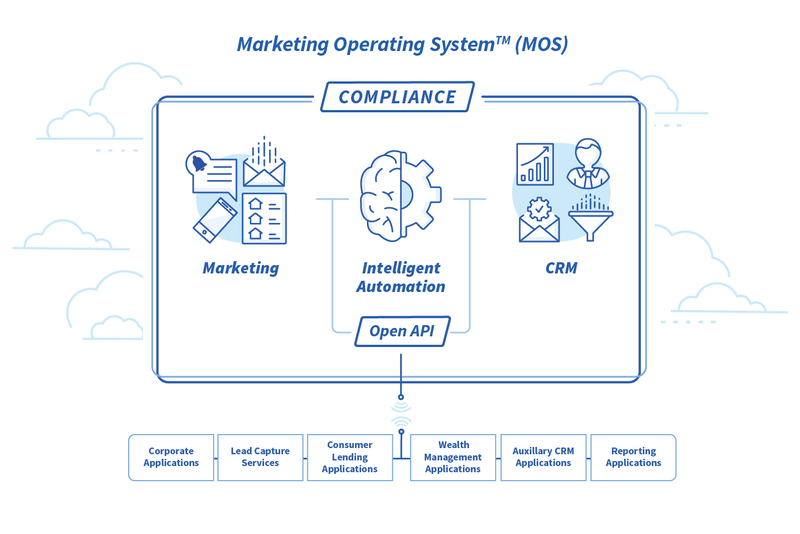 An MOS is an ecosystem housing your marketing, Customer Relationship Management (CRM) and the associated intelligent automation to make it all work together seamlessly. An MOS enables you to control your organization's marketing activities from a centralized environment and empowers you to execute on your marketing and sales strategy, while having full confidence that you're staying compliant with complex regulations. The financial services industry is complex and heavily regulated, making it critical to have an MOS that will help you stay compliant and support you in case of an audit with on-demand reporting. Data is a key piece of your marketing strategy. An open API allows you to connect and leverage data from your corporate applications, lead capture services, consumer lending applications, wealth management applications, your auxiliary CRMs and reporting updates – and pull data out as well. As the MOS brings in data from a variety of sources, you’ll have the knowledge of how your customers and prospects are interacting with your marketing to help you make intelligent decisions about how to market to them in the future. An MOS’s intelligence-driven automation empowers smarter marketing across all channels, including email, print, social media, landing pages, digital and text messaging. In addition, an MOS allows for the integration of other best-of-breed technology solutions so you can use them in conjunction with your MOS instead of as separate and disjointed solutions. Digital transformation isn’t optional. But many Marketing teams at financial services organizations are using a haphazardly assembled set of tools and systems to get the job done. As the pace of change continues to accelerate, this will become more unwieldy and frustrating. Stop trying to take your marketing and sales efforts to the next level using antiquated tools. There is a better way.